This post is a joint effort from all of us at the 100% CI. There are some problems with science that are unfortunately very real, namely a proliferation of bad papers clogging peer review pipelines brought about by immense productivity pressure, leading to problems like salami slicing publications, and rat races to get a half-finished manuscript out of the door. We wrote this blog post to give some love to the lesser known stupid solutions to real problems. Maybe their stupidity specialness will one day motivate someone to come up with proper profane solutions.Unfortunately, none of these solutions solve all the problems, see here for those. There should be an upper limit to the number of peer-reviewed articles a scientist is allowed to publish every year, forcing everybody to only put out only their very best work. You are probably wondering whether we are suggesting one submission or one accepted publication per year; how to handle co-authorships; what to do about papers that are under review for years, etc. etc. etc. Those are all valid questions that need to be addressed, but fortunately, there is no upper limit to the number of half-baked ideas that can be published as blog posts. Also, PLOS ONE might change their name to JOST ONE. So there’s that. In times where even Twitter is moving to more characters, maybe science should buck the trend.See this article by Arina Bones on an even more radical proposal. Or to say it like a future journal article: better, but still 💩. There are already too many ideas floating around that supposedly “fix science” by restricting scientists in one way or another. Everyone: You can only do it once in your lifetime!Obviously the limit limit itself should be counted as a freebie. Researchers continue to refuse sampling real, representative, non-WEIRD populations. As a deterrent, we need a spam bot that fills out mTurk and other online surveys with data designed to falsify the researcher’s hypotheses. Level 2 of this project could use the spam bot earnings to pay psychology undergraduates to falsify hypotheses.Many probably already do this in their leisure time as acts of revenge. Have millenials already been used as an excuse for the replication crisis or can we still call dibs to write a thinkpiece about it? Unfortunately, this would first require researcher to actually have any a priori hypotheses. A surefire way to build a career in psychology is to attach your name to some construct. But what if all the good constructs are taken? Well, if you cannot have intelligence, depression, or working memory, maybe emotional intelligence, burnout, and learning styles are still up for grabs? No? How about (self-reported) materialism and behaviouromics? The rewards are magnificent, so the punishment needs to be commensurate. We need to establish a construct police force that knocks on researchers’ doors: “We heard you’re selling ‘grit’. Isn’t that just free-based conscientiousness? You’re coming with us, buster.” At least it’s a more civil solution than the construct vigilante whose two fists go by the name of jingle and jangle. Maybe you need to take care of kids. Maybe you have a time-consuming hobby. Maybe you just like to slack on your couch wearing trackpants.Maybe you like to think of this as a hobby. It’s not. There are many reasons for working part-time in science, but your productivity will necessarily be lower – unless you have a secret identical twin to cover for you! Whereas the identical twin birth rate is one of the few metrics we expect scientists to be unable to optimise (cf. Goodhart’s law) and thus only available to a rare few, others could potentially try marrying another researcher with the same first name and adopting their last name. Unfortunately, given the ways of Moloch, people following this strategy would quickly be outcompeted by DINK twins/couples (Double Identity, No Kids). This is a fairly long-term strategy, but given that having children is generally seen to be a net negative for researchers, here are two ways to work around that: a) Make your kids your co-authors! Once they are old enough to work in the noise mines and publish in Psych Science (probably around ~11) use your parental authority to demand they return the favour to you. Unfortunately, Steve Lindsay’s current crackdown on morally flexible research practices in Psych Science might mean that you’ll have to turn to PNAS instead. b) Name your kids after you! A multi-generational publishing dynasty will skyrocket your h-index. Oh, that idea is too ridiculous to ever work? et al.’s Google Scholar profile begs to differ. After IRET failed to bring the power of brain images to everyone, we need a new way to combat the stranglehold dazzlingly colourful fMRI plots have on our attention spans. Just turn everybody’s computer grayscale and soon these papers will look as drab as the sorry n=8 correlations they really are. Let’s drop the pretense for a moment: science is no longer about truth-seeking, but about competition. But how do we prevent one school from signing contracts with all of the best young ECRs and making the field uncompetitive? To encourage parity, we introduce an NFL-style draft system, where the departments that did poorly during the previous season year’s THE ranking get to pick the top talent among grad students this year, and the Super Science Bowl winner picks last. Convenient side-effect: In their ensuing efforts to score lower on international rankings, universities might just stumble into actually improving their research and teaching quality. The Catholic church used to have them. When Pope John Paul II abolished them, the saint rate blew up: from ~1 per year to ~23 per year. Were there really this many more significantly holy figures during John Paul II’s tenure, or did we end up with 1800 false positive canonizations and beatifications? This sounds familiar, doesn’t it? Maybe what universities need is not more privacy protection officers, but more devil’s advocates. So, why not make it a full-time position and require all meetings to have at least one? Although the statcheck pubcrawl bot is already a thorn in everybody’s side, many researcher still don’t think twice before they one-tail that p-value or write down the F statistics “from memory”. Let’s up the stakes: Whenever the statcheck bot finds an error in a published paper, an innocent kitten gets it. Popular in software development, maybe this solution can be imported to science. Given that our science culture neglects incentivising criticism, you have to do it yourself by paying those who find errors in your code or methods cold hard cash. Potential downside: This could turn James Heathers into a very happy man.No more rants. You can’t possibly want that. Estimating how much questionable research practices distort the psychological literature is impossible as long as reputational damages prevent psychologists from freely confessing them. But what if we could spend grant money specifically to be absolved from p-sins of the past ?in nomine Papaja, et Meehlii, et Spiritus Sanjay. The proceeds could pay for larger Ns of successive generations, or alternatively for a really nice Basilica. Borrowing from the Ultimate Fighting Championship, the Cage of Adversarial Collaboration is a ring proponents of competing theories can only leave once they come up with a decisive, preregistered test, the result of which they vow to accept (the interocular trauma test is among the approved finishing moves). 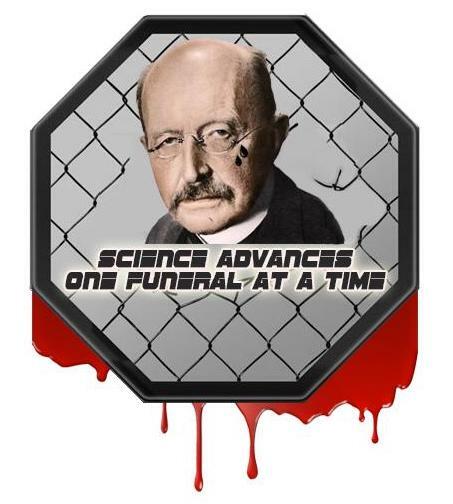 Following Max Planck, science advances one funeral at a time – this might speed things up. Chime in with your problems and solutions in the comments. We might have enough material for a second post. Maybe next time some of the solutions might actually be real? 4. ↑ Unfortunately, none of these solutions solve all the problems, see here for those. 5. ↑ See this article by Arina Bones on an even more radical proposal. 6. ↑ Obviously the limit limit itself should be counted as a freebie. 7. ↑ Many probably already do this in their leisure time as acts of revenge. Have millenials already been used as an excuse for the replication crisis or can we still call dibs to write a thinkpiece about it? 8. ↑ Maybe you like to think of this as a hobby. It’s not. 9. ↑ No more rants. You can’t possibly want that. 10. ↑ in nomine Papaja, et Meehlii, et Spiritus Sanjay. We need incentives to make people use better research practices, or stop using questionable ones. We could treat em like fouls in soccer/football. A yellow card for HARKing/phacking/etc (2 become a red) and a red card for papers with studies that seem purely made up of QRPs. Once get to red card you are out for a season(year) and can’t submit papers to journals till your back in.